Kybella® is an FDA-approved treatment for submental fullness, also known as double chin. Double chin is a common condition caused by excess fat under the chin and neck. This can cause a person to have an older and heavier appearance. The causes of submental fullness include genetics, aging and weight gain. Submental fullness affects both men and women. Submental fullness can affect how you feel about yourself. In the past, the only way to treat submental fullness was through invasive surgical procedures like Liposuction or Lipectomy. Kybella offers patients a new way to give a proportional and harmonious appearance to the face without the need for surgery. Dr. Brian P. Maloney is the Atlanta area’s prominent facial plastic and reconstructive surgeon. He is known throughout the world as an expert trainer and double-board certified practitioner. The key ingredient in Kybella is deoxycholic acid. Deoxycholic acid is a naturally-occurring molecule produced by the body that facilitates the dissolution and absorption of dietary fat. When Kybella is injected into the fat underneath your chin and around your neck, it destroys the fat cells in those areas. Once these cells are destroyed, fat will not accumulate in those areas. Over the course of several Kybella treatments, you will notice a visible difference in the contour of your chin profile. Kybella is a safe and effective treatment for submental fullness. Kybella has been rigorously tested in several clinical studies and has been approved by the Food and Drug Administration (FDA) for use. Kybella is a Non-Surgical Procedure. A small needle is used to inject Kybella into the superficial layers of fat under your chin, around your jawline and surrounding your neck. If you are concerned about the use of needles in your cosmetic procedure, Dr. Maloney can treat you with a topical anesthetic to reduce any discomfort. Each patient’s treatment plan is different. However, in most cases, Kybella requires multiple treatment sessions spaced out one month apart. Many patients see noticeable results after two to four treatment sessions. In most cases, each Kybella treatment takes 15-20 minutes. Side effects associated with Kybella are minimal and temporary. These may include pain, numbness, reddening, swelling and bruising at the injection site. These conditions usually subside within 48 to 72 hours. Kybella requires a commitment to a series of injections over the course of several months in order to achieve your desired aesthetic look. There may be some pain at the injection site and this discomfort may be more acute during your first treatment than subsequent sessions. If you are apprehensive about cosmetic procedures using needles, you should discuss this with Dr. Maloney during your consultation. Your consultation is also an ideal time to share information about your medical history. 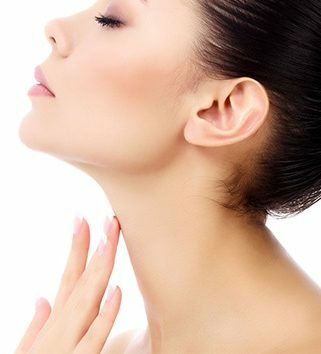 Dr. Maloney will take time during your consultation to carefully examine the skin around your chin and neck. This will help him evaluate whether Kybella is the best treatment option for you. A consultation also helps Dr. Maloney customize your treatment plan and reduce the chances of any complications with your procedure. Your face is the first thing people take note of when they see you. 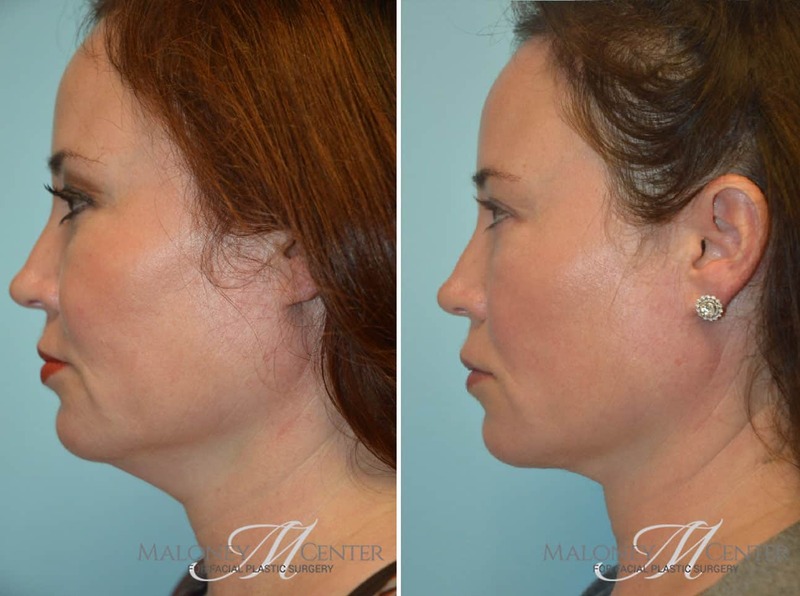 Dr. Maloney and the team at the Maloney Center for Facial Plastic Surgery understand how important this is to you. That’s why we take a compassionate approach to providing the most advanced facial plastic surgery treatments in the greater Atlanta area. Dr. Maloney is certified by two distinguished boards and is also a national trainer for Allergan. Colleagues, media professionals and people from all over the world seek out Dr. Maloney for his expertise and experience in facial plastic surgery. The Maloney Center leads the field in achieving excellent aesthetic results and high levels of patient satisfaction.